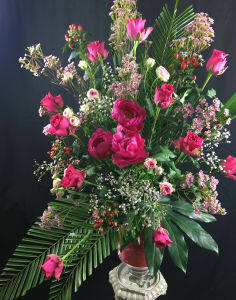 Flower arranging has been a passion of Maria's for many years. She now runs Floral Design and I specialises in designing modern floral pieces for weddings and events. Maria loves getting to know each and every client, hearing their story's, understanding their vision for the event, and seeing all of those ideas come to life through floral designs! Maria has recently started flower arranging classes to share her passion and inspire others.